The WordPress you know and love is changing. 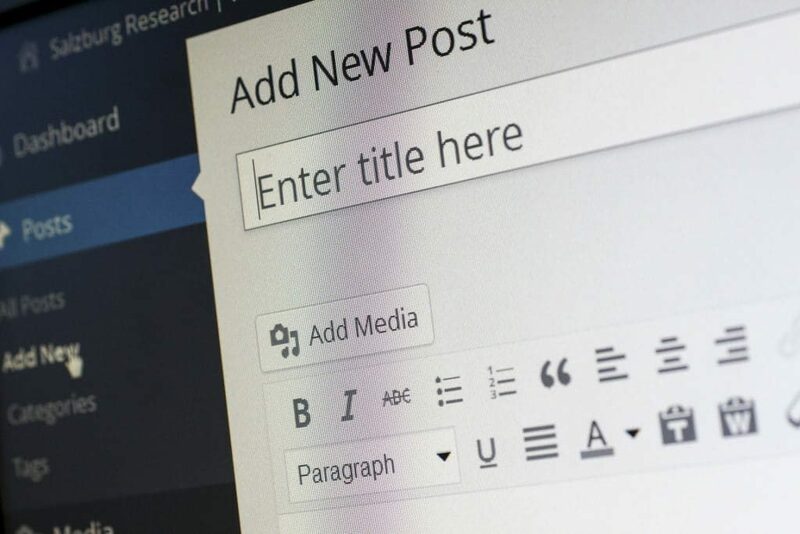 In the coming months, developers are expected to ship the long-awaited 5.0 version of WordPress, and with it, introduce a brand new content editor that is designed to be easier to use, and offer greater flexibility and compatibility. Whether you run a blog, manage an eCommerce store, or have your entire business site built on WordPress, the chances are that you’ve used its in-built content editor. That’s the big white box where you type the content you’d like to appear on the page, and upload the images and embed the social media posts you want to include. Whilst the current editor does a pretty good job, the developers of WordPress have been working on an improved version, designed to offer a more simplistic interface that can be used by anyone from beginners to experienced web developers. Below, we take a look at the new editor, show you how it will change the way you manage your website, and give tips on how to prepare for one of the biggest updates in WordPress history. The editor is familiar to millions of people around the world and offers the functionality needed to create pages. But Mullenweg said that, for WordPress to power the next generation of content developers and take WordPress to the next level, a new version of the CMS would be needed. After months of development, a beta version was launched as a plugin, but web developers and critics alike have been quick to point out its flaws. Some have said that Gutenberg “looks and feels bad, and is a productivity drain,” with one of the world’s biggest WordPress theme and plugin developers begging WordPress not to include the new editor as part of WordPress Core. Several iterations of Gutenberg have followed and a new blog post from WordPress highlights that the new WordPress 5.0 beta would hit on October 19, before a rollout on November 19.
text at the top of your page and an image at the bottom, you can quickly switch things up without having to cut and paste, or worry about messing up your content’s formatting. The new editor is designed to take away the pressure of formatting content. At present, it can be tough for those without coding experience to go into the HTML of a page or blog post and add break lines or change a font, whereas, with Gutenberg, users without any coding experience have more flexibility over the feel and layout of their content, without having to swallow a web design manual or pay for a developer to put together a layout for a new blog post or page. Whilst these changes appear small, they’ll have a huge impact on the way we use WordPress websites and design new content. Developers will have to learn new coding languages and create themes that meet new Gutenberg standards, and bloggers and business owners will have to learn how to use a new editor. Converting text from a standard block to a heading will be different, and embedding images and videos will also require a different approach to present. If you’re an avid WordPress user and spend a lot of your time blogging or adding new pages to your website, then it makes sense to try out the new editor as soon as you can. The Gutenberg editor can be installed as a plugin so that you can get used to its functions before it goes live and becomes an official part of the open-source version of the content management system. Setting aside a couple of hours to watch YouTube videos and create some new content will be enough, and then you won’t be overwhelmed when the change does happen and you’re faced with a new editing tool. Gutenberg can be installed here, but note that it’s still in beta and may not be stable or compatible with your WordPress theme or template, so be prepared for issues. If you’re scared of change, you don’t have to worry. The good news is that, should you prefer the old version of the WordPress editor and you’d like to restore it once Gutenberg goes live, you’ll be able to install the Classic Editor plugin and stick with the familiar TinyMCE editor. In fact, you can install the Classic Editor now and it will replace Gutenberg as soon as it’s released. Until the new WordPress Gutenberg Editor goes live and is shipped with Version 5.0, it’s hard to predict just how much will change. There’s no doubting that some themes and plugins will be incompatible with the new version, and that some will refuse to try out the new editor and revert to the classic editor, but change is a good thing, and embracing these new features and utilizing the tools that are part of Gutenberg will make your content more creative, flexible and attractive. While we wait for this exciting update why not take a look at the new Twenty Nineteen theme also coming in 5.0! If you’re concerned that your theme will be incompatible with a new version of WordPress, reach out to your developer and turn off automatic WordPress updates until you know for sure. And, as always, if you need help with WordPress hosting, website creation or ongoing WordPress maintenance, get in touch with the experts here at ThriveWP. We look forward to hearing from you soon.